You are not logged in. 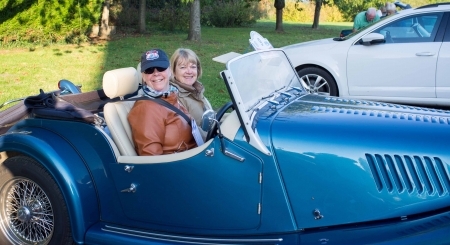 [Log In] Talk Morgan » Forums » Community » General Photo Gallery » RRAF Normandy Rally last week. RRAF Normandy Rally last week. Rotary Retro Automobile Fellowship (RRAF) "Tour de Normandie". The mayor of Pont L'Eveque flags off the first of 40 classic cars (including three Morgans) for the three-day event. 80 people and three nationalities.